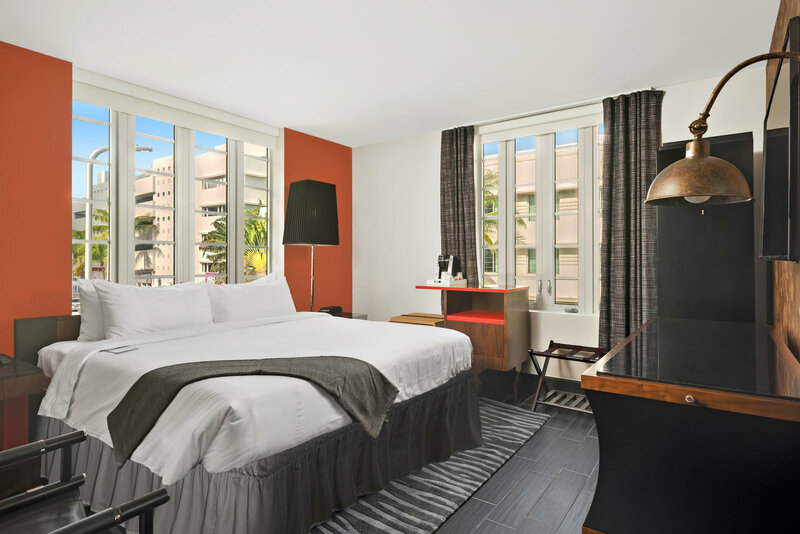 Built in the colorful era of Art Deco, our Miami Beach hotel has maintained its historic charm and added modern amenities throughout in our recent renovation. Keep an eye on our website for updates and coming soon information. 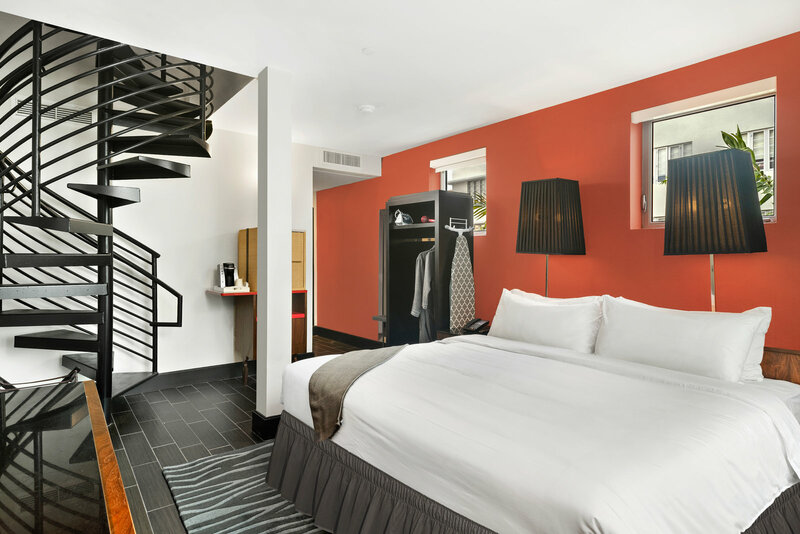 Whether here for work or play, our amenities ensure an unforgettable stay. Relax poolside, entertain over a gourmet meal, and keep up with life using the free Wi-Fi. 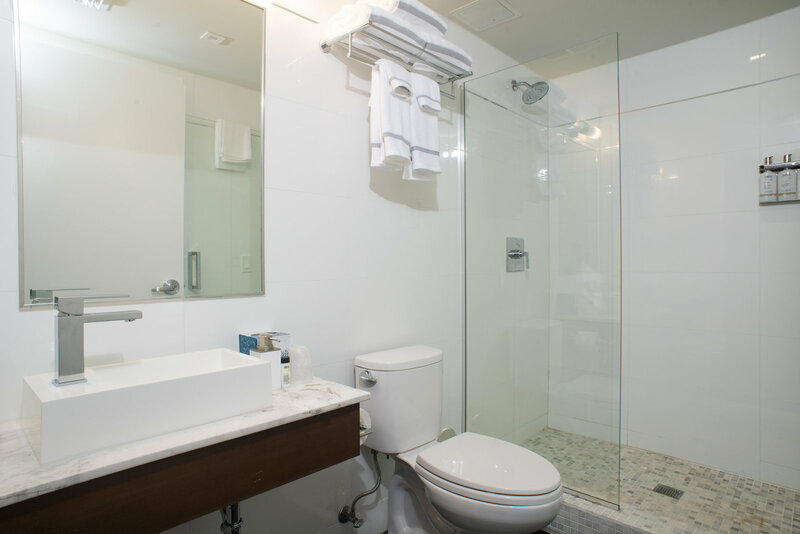 Step inside our SoBe guestrooms and suites to discover plush beds with luxury linens, flatscreen TVs, upscale bath products, refrigerators, and much more. Some rooms offer private balconies and furnished terraces. Stay connected with our free, hotel-wide Wi-Fi and wired Internet. Skype with family and friends back home and get caught up on work projects. Revel in the excitement of Miami’s famous nightlife in our trendy underground lounge or soak up the sunshine at the poolside rooftop bar. Book that red-eye flight to Miami! For your convenience, we offer 24-hour check-in and concierge service, so our doors are always open to you. Discover the thrilling history of Miami’s famous architecture on an Art Deco walking tour. Fairwind Hotel is a two-minute walk from the Art Deco Welcome Center, where guides await to tour you through SoBe’s vibrant past. Learn about Art Deco, Miami Modern, and Mediterranean Revival styles while exploring hotels, eateries, and other period sites. Nicknamed the American Riviera, Miami’s South Beach is a magical wonderland of white sand beaches and turquoise waves. Swim, surf, and sunbathe all day, before exploring the eclectic restaurants and world-class boutiques. Our hotel is footsteps from the paradise of SoBe and its Art Deco splendor. 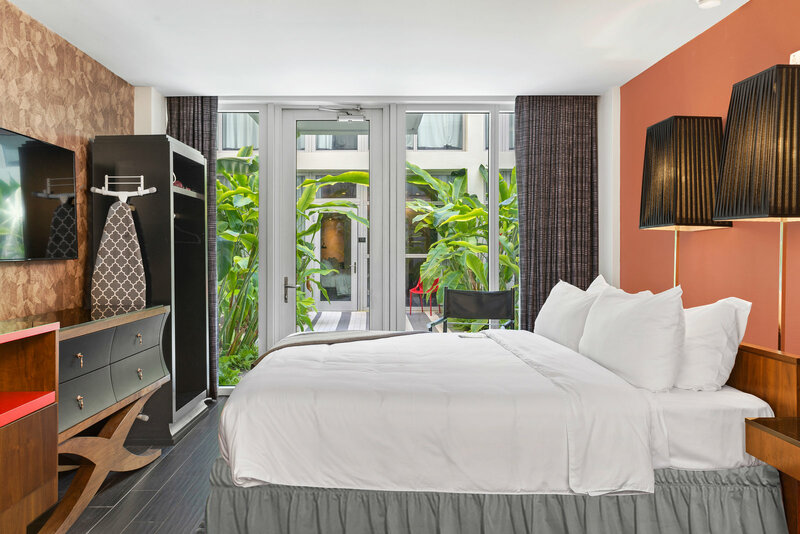 Fairwind Hotel Miami is surrounded by the energy of Collins Ave. Our freshly renovated Art Deco hotel offers unparalleled comfort and amenities. With classic period rooms and a prime location by beaches, shopping, and attractions, it’s the ideal launching pad for your SoBe adventure. When you join our mailing list, you’ll be one of the first to hear about upcoming special offers available at Fairwind Hotel.